Raccoon-Removal, LLC specializes in the removal and control of nuisance wild animal pest from your Dallas home. We are experts in 24/7 Wildlife Control. Our staff is composed of technicians with years of animal control training, construction and degrees in wildlife biology. We pride ourselves on our customer service and 100% satisfaction guarantee! We provide solutions to many of Texas’s wildlife control needs including: animal removal services of such as squirrel removal, raccoon removal, possum removal, skunk removal, armadillo removal, bird control, rodent removal, and bat removal. In the old days our services were included under the umbrella of: Pest Control. Now you need a specific license to deal with Nuisance Wildlife which does not include spraying of toxic chemicals. We charge a flat rate trapping fee for trapping. There is NO set up fee, NO per animal fee, NO animal relocation fees, NO need for an estimate or quote. The trapping fee is all-inclusive. It is the law in the State of TX that the traps are checked every single day – no exceptions. Pest-Experts, Inc treats these as an EMERGENCY CALL. We find it easier to charge a flat rate fee to come to your property and hand catch and remove an animal that is inside the building or enclosed area using a gloved hand, net, catch pole or net gun (Example: Snake in the garage, Raccoon cornered in basement, Aggressive Goose in pool area, etc.) We will spend up to an hour looking for & attempting to catch the animal. Sealing up a home and making it critter proof is called Exclusion services. Not all exclusion services are the same. This is the act of using animal proof materials, devices in methods to keep the animals OUT. Once the animals are taken out, they leave behind odors, Raccoon Poop and scents which may attract other animals. Although we have taken the tenant away (far enough to never find their way back) it just clears the way for the next one to find their way in unless you block off its ability to “Get back IN”. Some of the most common entry areas for animals are: Gable Vents, Soffit Junctions, Dryer/Bathroom Vents, Construction Gap (Gutter Line), Holes. Bat Removal Specialists only use the highest quality animal-proof materials and devices, therefore, we are proudly able to guarantee that no animal will get past the areas where we have performed the exclusion services. With all of this said, there is no way to give a price for exclusion work over the phone. WHILE we are setting up the traps it is necessary for us to determine how the animals are gaining access or entry into the building or property – this is when we are able to provide a proposal for the cost of the exclusion work. IF the proposal is accepted we will perform the exclusion work while the trapping is being performed which increases the overall success of the entire process. The skilled Wildlife Experts at 24/7 Wildlife Control are courteous and attentive to all of Dallas ‘s homeowner’s needs. We take our City’s customers’ satisfaction seriously and will go above and beyond to ensure the job is done right. Your family’s overall well-being and happiness is the top priority with any of our Wildlife Removal services. When you call us for wildlife removal in Dallas , you can count on us to remove the nuisance critters: (Squirrels, Bat Removal Experts, Raccoons, Raccoon Poop Rats & More) and prevent the animals from coming back into your home. WE are a family owned & operated business which specializes in ridding Dallas homeowners of raccoons, opossums, birds, and other wildlife (such as armadillos, and yes! We do offer Armadillo Removal) that may have inhabited your home or could be destructing your property. We offer AFFORDABLE Wildlife Removal Services as well as animal damage restoration & repair to rid your home of the disease causing pest waste. Dallas Animal Removal specializes in raccoon removal in Dallas services and can do much more than trap a raccoon and remove it, Learn More. We are a full service Raccoon Removal business, we have the proper equipment and knowledge it takes to carry out these services professionally and effectively. As a full service company, we offer many removal services, from structural damage restorations to raccoon exclusion and prevention services. We can fix, cleanup, and repair any damages caused by wild animals, as well as raccoons. 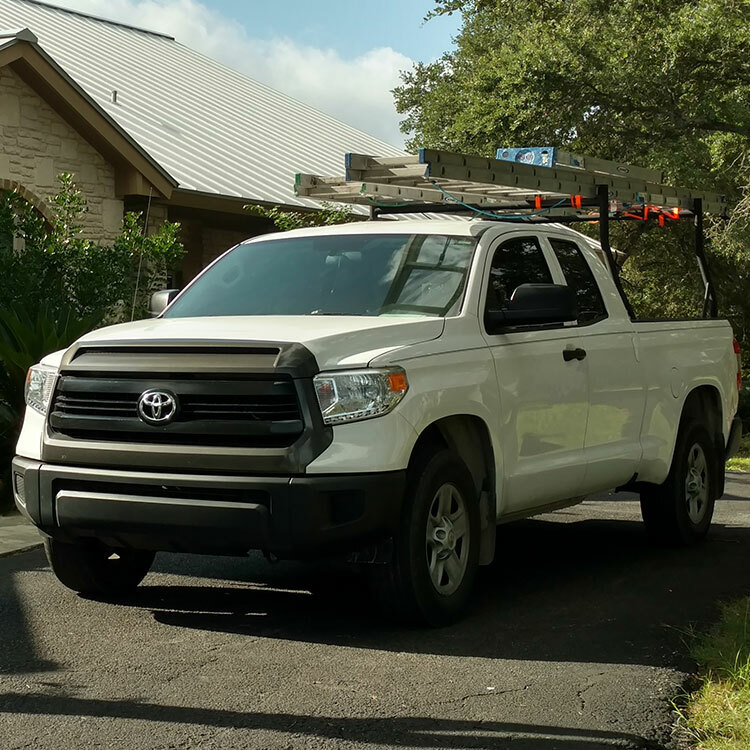 As a wildlife/ animal removal company we will be able to work side-by-side with Dallas homeowners’ insurance companies to ease the hassle of the repair process. 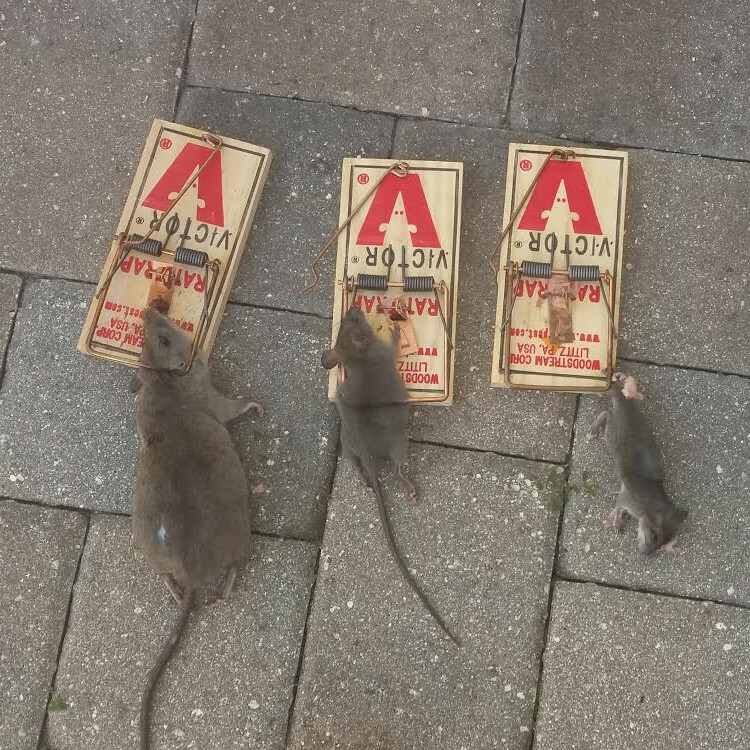 Rat Removal can be a terrifying experience for a lot of the homeowners in Dallas that require our expertise. What makes our rat trapping services superior is that we take the measures necessary to provide you with a safe & comfortable environment while we are performing the rat trapping services. All of our rat traps that are set inside or that you would come into contact with are always concealed traps. Either concealed cage style rat traps or concealed snap traps. Neither way the trap itself nor the rats can been touched or seen. They are safe around small children & household pets. Plus it allows us to utilize discretion when trapping so no one is exposed to any unpleasant sights. All of our rat trapping jobs have been completed within the typical one week time frame. We go a step above and beyond the average Snake Removal Company when we are called out to catch & remove any snakes from a property in Dallas, TX. Not only do we send more than one trained & licensed Wildlife Technician to scour the property and locate any snakes. We also provide the clients with written habitat modification suggestions which would make the yard less hospitable to snakes in the first place. If you make snakes uncomfortable – they will keep on moving! Dallas and the surrounding cities are forever battling nuisance birds… especially Geese. Whether you need Goose Removal, Goose Hazing, Pigeon Control, Woodpecker Trapping or any other Wild Bird Removal the trained & skilled Wildlife Technicians have the traps, hazing devices & tools necessary to either trap and remove the birds or to scare them off in a manner where the birds: woodpeckers, geese, pigeons & more stay away. We have low-tech means of hazing such as trained dogs all the way to the highest technology (newest technology) on the market with deterrents to scare them off. We can get rid of the nasty mess and the birds that caused it. Squirrel Removal at it’s finest in Dallas . We have an in-house rehabber who will take the orphaned squirrels and hand-feed them until they are able to live on their own, without intervention. We know how to trap squirrels & keep them from coming back in to the house or attic. We love squirrels – BUT we love them outside. Not nesting in the attics and chewing wires and causing mass destruction in the attic. They need to go. It is the law in CIty that traps are checked daily. We do just that. Squirrels would never make it in a trap for longer than one day any ways. We had to custom design guards on the traps to encourage the squirrels to calm down while they are in the traps until we can come and remove the squirrels. Skunk Removal and skunk control is also a very common problem that most animal control agents deal with on a regular basis especially skunks under steps. There are four different types of skunks that live in the United States. Some of the services we offer are hooded skunk removal, spotted skunk removal and, hog nosed skunk removal and the striped Skunk. The striped skunk is the skunk that is mostly found in the eastern part of the United States. Most all skunks are considered nocturnal animals meaning they travel mostly at night foraging in yards and lawns to find their favorite food source which is Japanese beetles and other grubs that are usually found in the ground. The striped skunk is usually found to be black in color with a white stripe down the center of its back starting at its for head. The striped skunk has small ears, yet has a very keen sense of hearing. Skunks also have very bad eyesight although they are very quick to pick up any kind of sudden movement. you can find more general information on Striped skunk removal The average size for a skunk in the United States is: from the tip of its nose to the tip of his tail 24 inches, they are between six and 12 inches tall and weigh and between four and 15 pounds. The male skunk is typically bigger than the female skunk and the female skunk is typically more aggressive than the male skunk. Some of the most common problem we have with skunk in the US is skunks under house, this is a very serious problem and one that should not go overlooked. Coyotes can wander from woodland areas into suburban Dallas . Nestled right in between multi-million dollar homes are dens of coyotes. When an area has a population growth of coyote and the natural food sources starts to be reduced by coyotes feeding, the natural next step is for the coyote to seek out easy prey like domestic cats and dogs. Most of whom are unsuspecting and unaware of the threat that coyotes pose to them. We cautiously trap coyote and do all of our trap checks first thing in the morning to greatly reduce exposure of the trapped coyote to any humans or pets. Possums have got to be the most interesting animal to trap. We do not know, other than sheer numbers at birth, how they still exist. They are dumb, slow and easy to catch. We can even hand catch the possums easier than any other animal. Dallas has many possums that dwell under the decks, in garages or crawl spaces. A telling sign that a possum is set up a den in your property is usually the foul musky odor and the fleas. 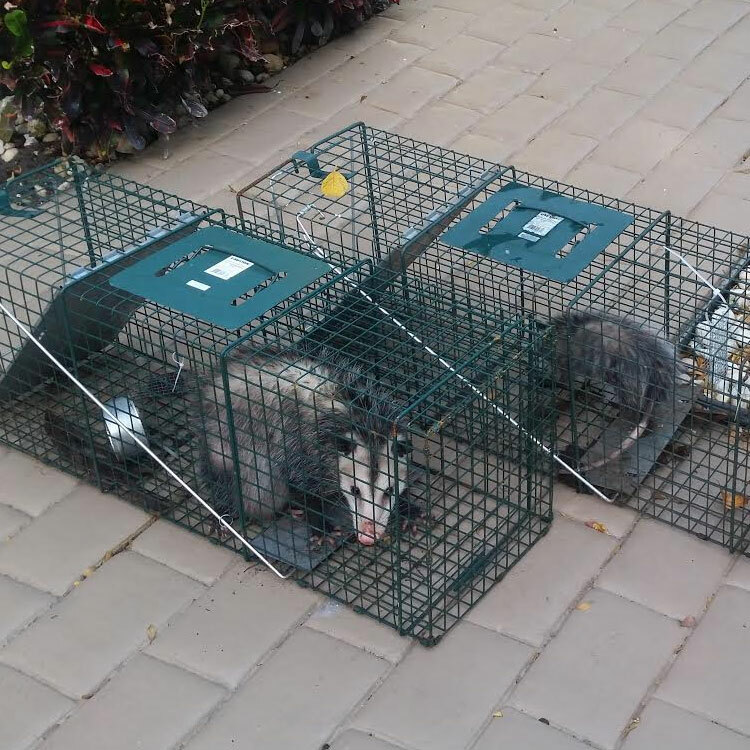 We use cage traps on possums and relocate them quickly. Possums are hardy and very durable. 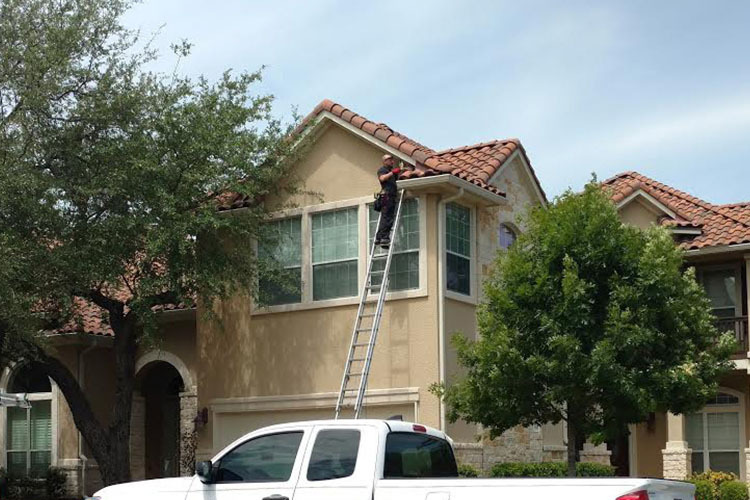 We perform bat trapping, bat removal, Bat Guano removal, bat control & bat exclusion services all over the entire State of Dallas and not just in Dallas . Our two largest bat trapping jobs have been in Madison Dallas and South Dallas in a log cabin right near the Florida State line. Bats take special precautions in Dallas since bats are protected. We have to make sure that when we remove bats from gable vents, bats from attics or bats out of soffit boxes that there are no bats harmed in the process. Our licensed Bat Removal Technicians enjoy bat removal jobs more than any other service we provide… well tied with predator trapping. We seal up your home so once the bats get chased out that they cannot come back in again. We get rid of your bat problem. We respond immediately to dead animal calls. Some of the dead animals that we pick up are: dead deer | dead raccoons | dead dog | dead coyotes | dead opossums | dead fox | dead birds | dead animals of any kind | dead snakes | and more! Centurian Wildlife Control does not restrict their work to removal of the offending animals. We will offer to mend any destruction of the property caused by the wild animals. We will repair the animal damage, clean up any feces, deodorize & sanitize any messes left behind which will eliminate any kind of offensive smell left behind by these animals. This is because if these offensive smell is not promptly eliminated, it can be a health hazard to the all the members of the household and also draw more animals back to your residence. It is however recommended that you first do some research to get to know the companies that you want to hire since not all of them are licensed or insured. The correct amount of attic insulation will help reduce your energy bills. Attics are one of the easiest places in a house to insulate, especially if you'd like to “cap” your existing attic insulation (add insulation to what you already have). Before insulating or deciding whether to add attic insulation, visit the U.S. Department of Energy’s website, to see if your existing attic insulation measures up. Chances are it doesn’t match-up to current government recommendations. Upon request, our attic insulation specialists measure your existing attic insulation during our Animal Entry inspections and let you know if you need to add more insulation to match the U.S. Department of Energy’s guidelines. Many attic insulation materials can be difficult to work with. Let the professionals at Critter Control do your attic insulation installation. We can also remove attic insulation that has been soiled/damaged and dispose of it for you. Seal all attic-to-home air leaks. Most attic insulation does not stop airflow. Duct exhaust fans to the outside. Use a tightly constructed box to cover fan housing on attic side. Seal around the duct where it exits the box. Seal the perimeter of the box to the drywall on attic side. Seal around chimney and framing with a high-temperature caulk or furnace cement. At the tops of interior walls, use long-life caulk to seal the smaller gaps and holes. Use expanding foam or strips of rigid foam board insulation for the larger gaps. Make sure insulation doesn't block soffit vents to allow for attic ventilation. Check the attic ceiling for water stains or marks. They indicate roof leaks or lack of ventilation. Make repairs before you insulate. 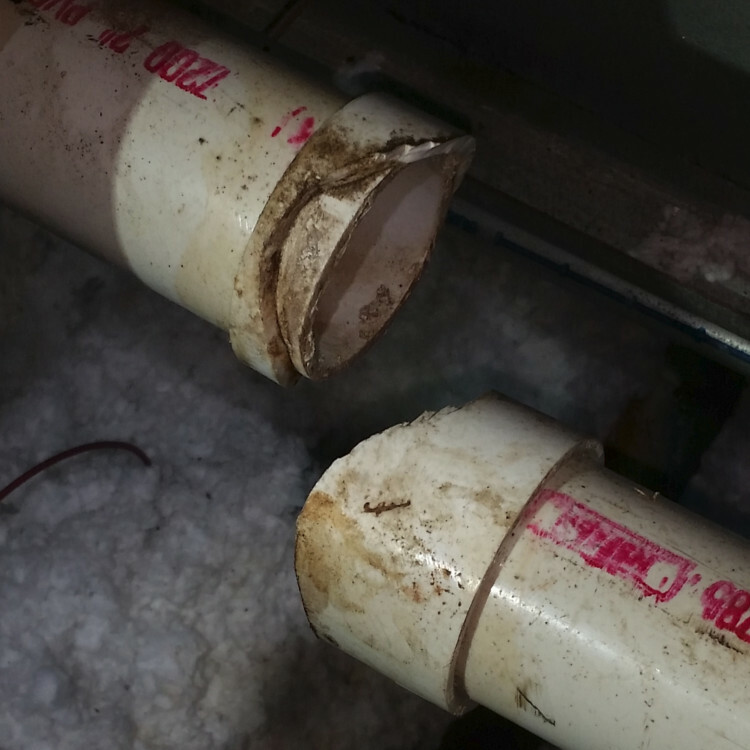 Wet insulation is ineffective and can damage your home. Also insulate and air-seal your attic access if it's located in a conditioned part of the house. You'll want to properly insulate and air seal any knee walls—vertical walls with attic space directly behind them—in your home as well. You removed the animals from the attic, but are you finished yet? 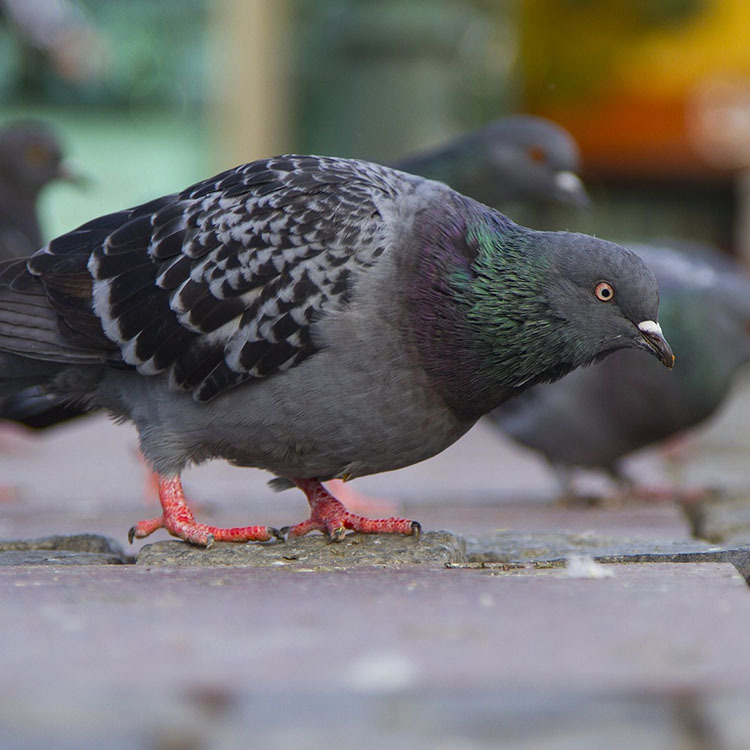 Nuisance wildlife in your attic can create problems many homeowners never think of. These animals can carry ectoparasites, which after the wildlife host is evicted, may move inside the home looking for a new host—YOU! Bat bugs, mites, ticks and fleas are just some of the ectoparasites you need to be concerned about. Mice in the attic, bats in the attic or various other visitors are notorious for bringing these pests in. Ask our Wildlife Management Pro's to inspect your attic and treat for these critters, after your problem species is removed. And what about the droppings left behind in your attic? Is this something you want hanging above your head at night when you sleep? Raccoons are known for using a single spot in your home as a latrine, while using another part of your attic as their living area. This can lead to matted attic insulation and reduced “R” values, which means you continue to lose money as you continue to heat and cool your home. It can also lead to stained ceilings and unnecessary odors. Let our attic restoration professionals remove that soiled insulation and replace it with your choice of insulation products. Our specialists can prepare insurance bids with most major insurance companies and get your attic back in shape in no time. From gutter protection, attic fan vent guards, roof vent guards, gable vent closures and soffit vent repairs, our team can do it all with one single call. Many of these nuisance animals cause problems to your chimney as well and require professional chimney repair. For all of your attic insulation tips, attic repair, attic restoration and chimney repair needs, contact your local Dallas Animal Removal office. You can also continue reading for local Marijuana News updates.